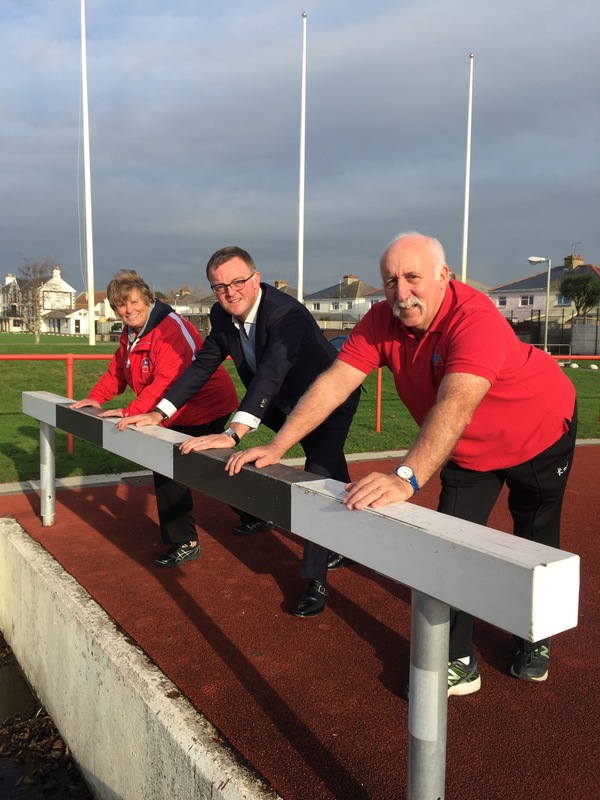 Acorn Performance Pathway: Paul du Feu and Morag Obarska from CGAJ and Richard Harrop of Acorn Finance limber up for the launch their Commonwealth Games partnership. The Commonwealth Games Association Jersey’s (“CGAJ”) plans to roll-out an extensive Performance Pathway for youth and senior athletes in the Island have been secured thanks to a comprehensive three year sponsorship deal signed this week with Acorn Finance. The Acorn Performance Pathway will enable structured, long-term preparation and training time for Jersey athletes, helping them maximise their potential at the Bahamas Youth Games 2017 and the Commonwealth Games Gold Coast 2018. The CGAJ expects its registered athletes to compete regularly off Island. Sponsorship will help any athlete showing the appropriate attitude and commitment and will allow them to do that little bit extra which may well make the difference. The CGAJ will work with a selection of primary schools that are twinned with Gold Coast schools. These youngsters will learn all about the Commonwealth and meet some of the Acorn Performance Pathway personnel. The CGAJ will work with Derek de la Haye and David Kennedy (Jersey Sport) in identifying and supporting programmes that will help young people in the schools to fulfil their potential, by offering after school sports opportunities over an extended period. Sponsorship will enable the training of local staff to be able to deliver programmes on drug awareness and education. Courses are also planned for many sports in both psychology and mindfulness. Recent major changes to the Commonwealth Games Federation have included the capping of numbers competing in the Games and the setting of minimum standards in some events. This has meant Jersey securing a maximum of 10 places in the Youth Games in the Bahamas next year and 33 in the Gold Coast 2018 games. There has never been a greater need for a structured development and support programme to ensure Jersey’s athletes are in the best condition to qualify and then replicate those performances at an international level. “Acorn is a local business dedicated to investing in the Jersey community. We are honoured to be partnering with the CGAJ to create the Acorn Performance Pathway and support the youth and senior teams on their journey to the Youth and Commonwealth Games. The CGAJ’s commitment to helping aspiring and already successful local athletes is admirable and we are excited to be playing a part in helping them realise their strategy,” Richard Harrop, Acorn Group CEO.